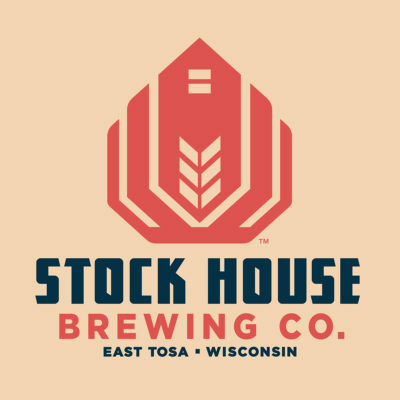 On Wednesday, April 10, Milwaukee Beer Society will be traveling to Stock House Brewing Co. in Wauwatosa where they promise they will never make the same beer twice. Paul Hepp and Mark Henry Mahoney have teamed up to bring a new kind of brewery experience to the Milwaukee area. They develop beer styles that both pay homage to the classics, as well as appease the beer nerds. Join us as we tour their space and try all of the beers they have on tap. As a very special bonus, Stock House will brew a beer while we are there and not only will MBS members get to name it, but they will also receive $1 off the beer while it’s on tap. Easy drinking Grand Cru style ale is light brown with a hints of clove. Sweet but dry finish with a biscuity malt background. This session IPA is loaded with Amarillo and Cascade hops. At only 4% you can drink it all tailgate long! A Farmhouse ale that is bright and funky. Golden straw color and effervescent bubbles remind ya of passing farms on family trips. A classic dry irish stout to quench your thirst. Full of the roasted malts and finishes with very low sweetness. Tropical fruit aromas followed by a clean, dry and tart finish. This beer tastes like summer! A Farmhouse ale that is bright and funky. Golden straw color and effervescent bubbles remind ya of passing farms on family trips. Fresh Orange gives this version a citrus blast! Traditional Hefeweizen in honor of our cofounder, Mr Hepp. Banana and cloves and just a hint of hops make this a fun spring brew. Literally translates to cold coffee. This dark cream ale is full of fresh coffee, making it the perfect dark brew for warm weather.